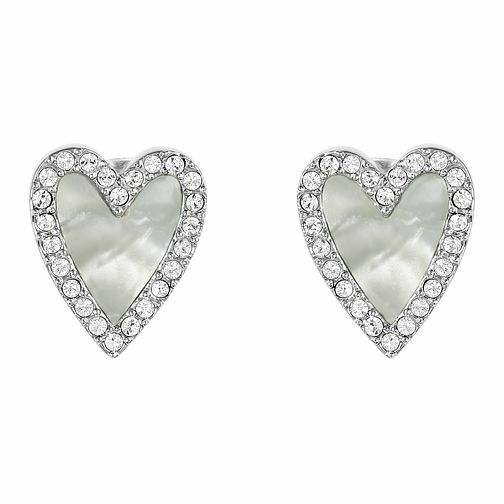 The signature heart silhouette is given a contemporary update with these chic studs. Crafted with rhodium plating,these earrings each present the classic pointed heart, pave set with sparkling white swarovski crystals and complete with a polished grey resin centre. A divine pair to enhance your everyday to evening style.